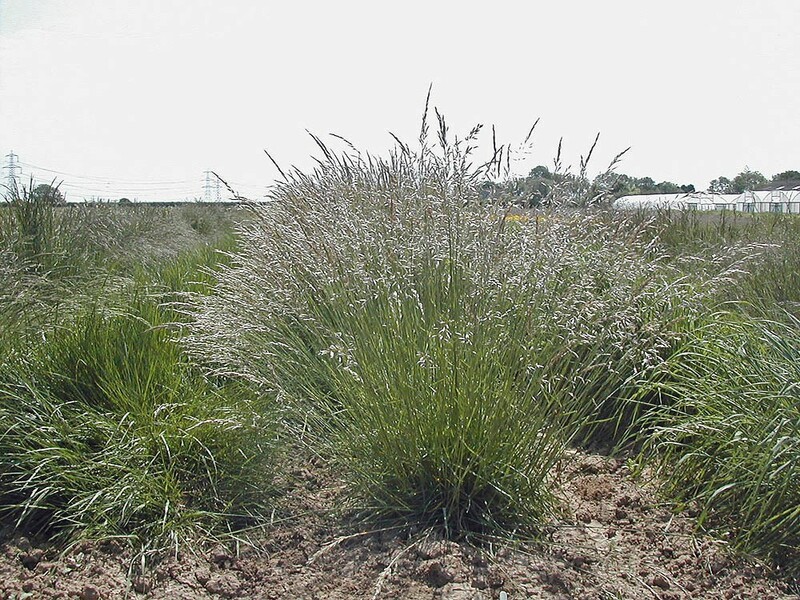 Downy oat-grass is a loosely tufted perennial with an attractive inflorescence growing to about 90cm. The leaf blades are soft and covered with soft hairs although these can rub off with age. It can be confused with false oat-grass (Arrhenatherum elatius) and its cousin, meadow oat grass (Avenula pratensis) and details on how to distinguish the three are given on the meadow oat-grass page. N.B. Until recently this species was know by the old botanical name of Helictotrichon pubescens. Probably best sown in the autumn but can be sown at any time of the year.